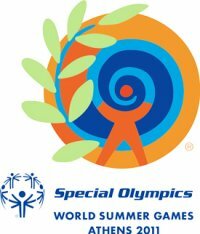 Nimbus Candles supports the Special Olympics Athens 2011 and graces with their scented soy candles the Green Rooms of the VIP artists and athletes from abroad who will be accommodated in order to take part in the ceremonies of the games. Some of the artists and athletes who will participate and will be at the side of children with disabilities are Stevie Wonder, Vanessa Williams, Zhang Ziyi, Vittorio Grigolo, Romario, Kaka, Pyrros Dimas, Edwin Moses, as well as world champions. Hollywood’s Elite are becoming more and more Green Conscious.Many of the stars go as far as to promote and emphasize their favorite environmental and Green Cause advocating all aspects of saving the environment by lending their names and influencing specific areas. Hollywood celebrities have turned to using scented soy candles as a way to reenergize and de-stress while not harming their environment with soot and smoke. “Oneiropagida” (The Dreamcatcher) continues this year to make dreams a reality but what does one dream of? Nimbus Candles in a 'dream' partnership with Ena Productions supports Ant1 TV Series and beautifies it with the glow of its soy candles in some important moments and scenes.